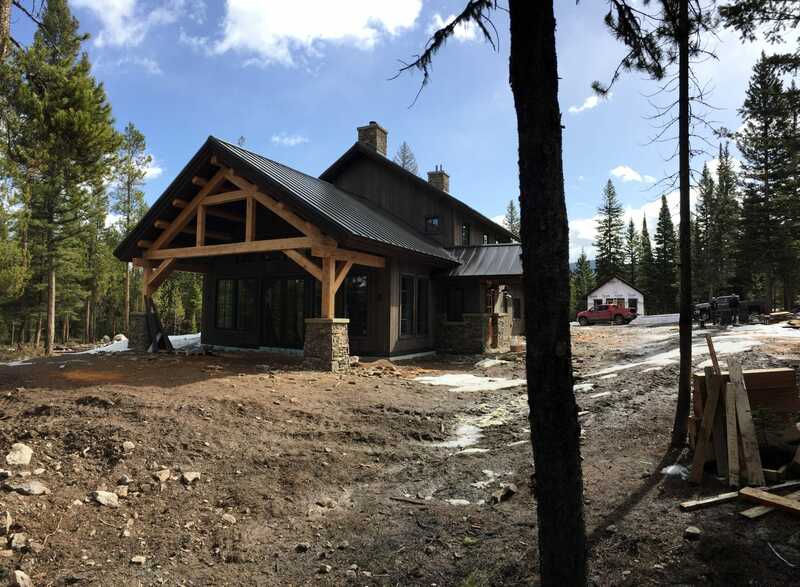 Located on a western facing ridge just outside of Big Sky, this home takes advantage of the Montana outdoors and the sites great view of the surrounding valley . The linear plan is aligned East to West with the great room centered on a view of Lone Peak. The kitchen, dining, and great room is connect through an open layout centered around a large Tulikivi fireplace. A staircase takes you upstairs to a spacious loft and study that overlooks the great room. Large western facing windows take advantage of solar heat gain in the winter while a covered patio protects against excessive heat gain in the summer. A wood shop sits across from the garage creating a large auto courtyard. Wood and stone wrap the home connecting it to the rustic site. Follow this link to view the Tulikivi website and learn all about there heat-retaining fireplaces http://www.tulikivi.com/ . Tulikivi fireplaces minimize their carbon footprint in every way possible. They use stone, a durable natural material, and their fireplaces burn wood, a renewable fuel, resulting in lower energy consumption and lower emissions. Earlier construction phase on a beautiful fall day in Big Sky.